"And the cover-up was one of the worst in the history of cover-ups". "It's very simple. Bad deal, should have never been thought of. Somebody really messed up", he said. 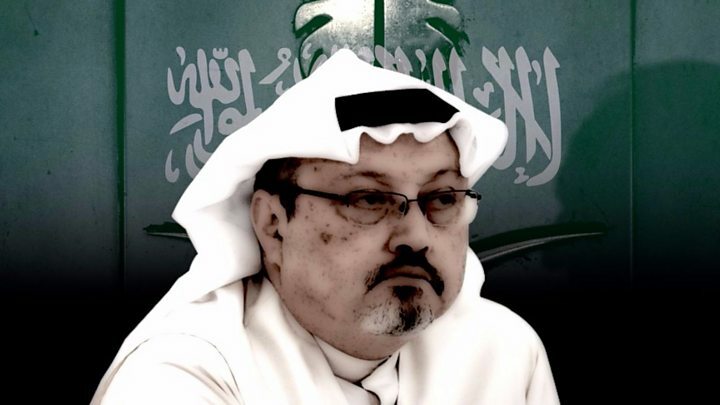 The apparent discovery of Mr Khashoggi's body parts - and Mr Erdogan's version of events based on what he described as "new evidence and information" - both contradict Saudi Arabia's explanation for his death. In the Saudi capital of Riyadh, the king and Crown Prince Mohammad bin Salman delivered their personal condolences to Khashoggi's grieving son and brother. Erdogan said: "It is clear that there was a premeditated roadmap and some of the staff of the consulate hurried back into their country afterwards". He also said a man wore Khashoggi's clothes and walked out of the diplomatic office, possibly as a decoy. "I am going to know very shortly because I have a great group of people in Turkey right now and a great group of people in Saudi Arabia", Trump said. US Secretary of State Mike Pompeo says the Trump Administration is revoking the visas of some Saudi officials implicated in the death. But a USA official said she is in the country to review the case. "The European Union's reaction from now on will depend on the next steps that will be taken by Saudi authorities", Mogherini said. The writer, who was a contributor to The Washington Post, vanished October 2 after entering the Saudi consulate in Turkey, where he went to pick up documents for his marriage to his Turkish fiancee. The officers had removed the hard drive from the security cameras in the consulate before inviting the journalist there, he added. "As of now we expect of them to openly bring to light those responsible - from the highest ranked to the lowest - and to bring them to justice", said the Turkish president, who used the word "murder" 15 times in his speech. He said Haskell will return to the U.S. to brief the president, himself and members of the USA administration on what the Turkish investigation has turned up. "$450 billion. I think that's over a million jobs, a million to- over a million jobs". Saudi Foreign Minister Adel al-Jubeir said Khashoggi's death had been a "mistake" but denied that the Crown Prince Mohammed bin Salman had ordered it. The president said the crown prince "strongly said he had nothing to do with it". "The conscience of humanity will only be satisfied once everybody is called into account, from those who gave the orders to those who carried them out". Following the king's order, Al-Qahtani tweeted that he would remain a "loyal servant for my country forever". The public prosecutor said 18 people, all Saudi nationals, have been detained in connection to the probe.